"Codename Big Win" is another big prelaunch residential venture by Lodha Group. Big Win is in a prime location of the commercial hub of Jogeshwari West, Mumbai. Hafeez Contractor has designed these glib towers. This project is sprawled over 4.5 acres of land with the options of 2 BHK & 3 BHK apartments. These apartments are designed along with private space in Jogeshwari. The Lodha group offers the excellent design home, big green space and provides the world-class design home with the luxurious amenities. The keys are expected to be handover by 2022. The apartments rate start at 1.78 Crore onwards. Lodha Codename Big Win is a collection of 6 mid-rise towers A, B, C, D, E& F where it has 600 apartments. These 600+ homes are covering area of 650 Square Feet to 1250 Square Feet. The homes are available in the form of 2 BHK luxury edition, 3 BHK luxury & premium edition. Each residential apartment is clubbed with AC and Imported marble in living bedroom. Each Big Win tower stands 21 storey high with rounded balcony. These towers consist of 2 level Basement + ground and an impressive entrance. A sophisticated and a classic styled structure is about to set a new example to raise living standard to a different level. The majority of the land is to be converted into greenery designer landscape. Lodha Group was incorporated in 1980 as a private sector real estate sector established in UK & India. The group owns projects across Mumbai, Pune, London, Hyderabad and Bangalore. Lodha Group has 66 on-going projects in Mumbai, 10 active projects in Hyderabad, 29 active projects in Thane.Lodha Developer has delivered luxurious residences at affordable price.Lodha Group is India’s one of the top real estate groupknown for their world-class business and residential projects. Presently, Lodha Builder operating on over 34 million square feet of area space. The Lodha Builders also operated the concepts of branded corporate offices spaces, large-scale office campuses & Signature Boutique offices for growing businesses. 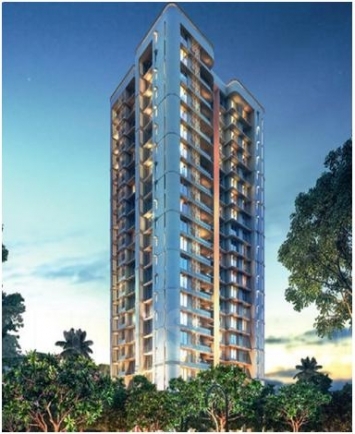 Lodha Group has recently come up with a new residential tower- Lodha Codename Big Win atJogeshwari west.The major plus point of Big Win is its location. Jogeshwari West is a pre-established location that makes easier to travel to the important business locations.SEEPZ, Film City, Solitaire Park, NESCO and BKC Malad Mindscape are very easily accessible from Codename Big Win location. * 5 Minutes' drive from Western Express Highway. * 5 Minutes' drive to SV Road & New link road. * Jogeshwari location will also enjoy Metro Line 6 availability in coming time. * 20 Minutes' drive from LokhandwalaAndheri CBD. Big Win is emerging as the latest center point for residential projects with simple access to each of the conveniences. Lodha Codename Big Win is an extraordinary structure coming up near Patel Estate Road, Mahadev Mandir at Jogeshwari West, Mumbai - 400102. The project is fully loaded with end number of amenities for theresidents - Cricket, Heated Swimming Pool, Gymnasium, Swimming Pool, 24 x 7 Security, Power Backup, Lift, Cafe / Coffee Bar, Mini Theatre, Party Hall, Clubhouse, Amphitheatre, Indoor Games Kids' Play Areas / Sand Pits, Yoga Areas, Jogging / Cycle Track, Kids' Pool, Normal Park. Schools –American School of Bombay, City International School, R. N. Podar School, VIBGYOR High School, Oberoi International School, Bombay Scottish School. Restaurants –Fifty Five East Restaurant, The Bombay Canteen, Kebabs &Kurries, Govinda's Restaurant, Seasonal Tastes, Mahesh Lunch Home Juhu. Movie Theatres –Cinepolis Cinema, PVR, Carnival Cinemas, Studio F/16. Hospitals –Lilavati Hospital & Research Centre, KokilabenDhirubhaiAmbani Hospital, Sujay Hospital, Holy Spirit Hospital, Seven Hills Hospital, Fortis Hospital, Nanavati Super Speciality Hospital, Dr L H Hiranandani Hospital. Railway Stations –Jogeshwari Railway Station, Ram Mandir Railway Station. Parks –Gaia Garden, Municipal Joggers Park, The Grand Hamvi Garden, MalcomBaug Station Gate. 342 sq.ft. - 352 sq.ft.